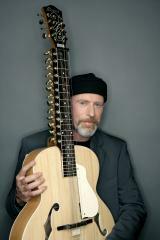 Harry Manx is touring a special group of musicians with this visit to Waterloo. The World Affairs Band was put together in 2012 for a performance at the Maison Symphonic during the Montreal Jazz Festival. World Affairs consists of 'Yeshe' from Europe, who spent majority of time learning instruments in Africa, Kiran Alhuwalia an Indian vocal specialist who now lives in New York City and Clayton Doley an Australian who plays R & B Hammond B3 Organ. Garnet Rogers returns to the stage at the Original Princess! All about our Live on Stage events. All about our Live on Stage events. All about our Live on Stage events. All about our Live on Stage events. All about our Live on Stage events. All about our Live on Stage events. All about our Live on Stage events. All about our Live on Stage events. All about our Live on Stage events. All about our Live on Stage events. All about our Live on Stage events. All about our Live on Stage events. All about our Live on Stage events. All about our Live on Stage events. All about our Live on Stage events. All about our Live on Stage events.